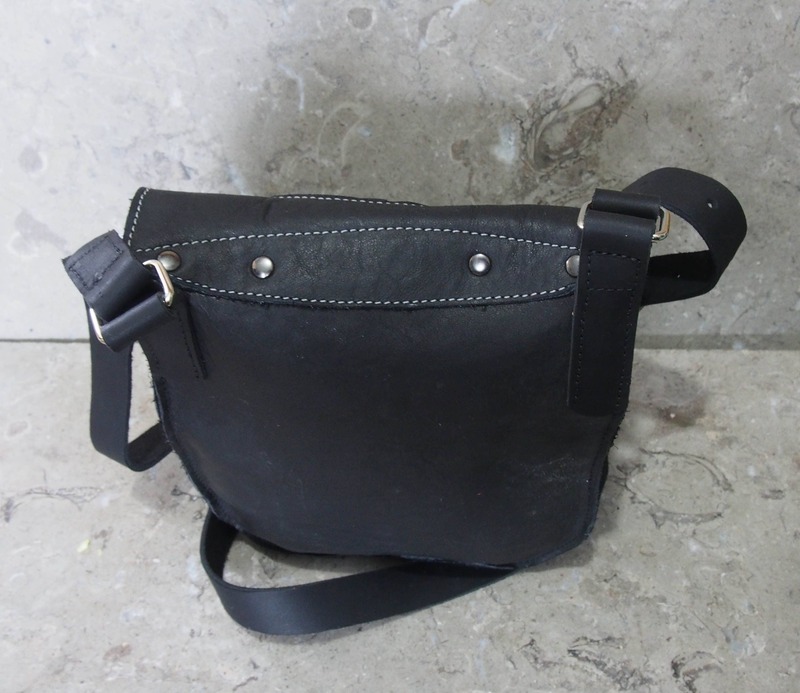 This smaller satchel for cross-body (or as belt) wear is made from very soft black "deer tanned" cowhide leather, which is very supple, yet tough. The bag is approximately 8" high (when full), 6" wide, and 2" deep. The strap is 3/4" wide and approximately 60" long, with minimum of 12 holes spaced 1" apart for adjustment with the simple antique silver effect buckle. 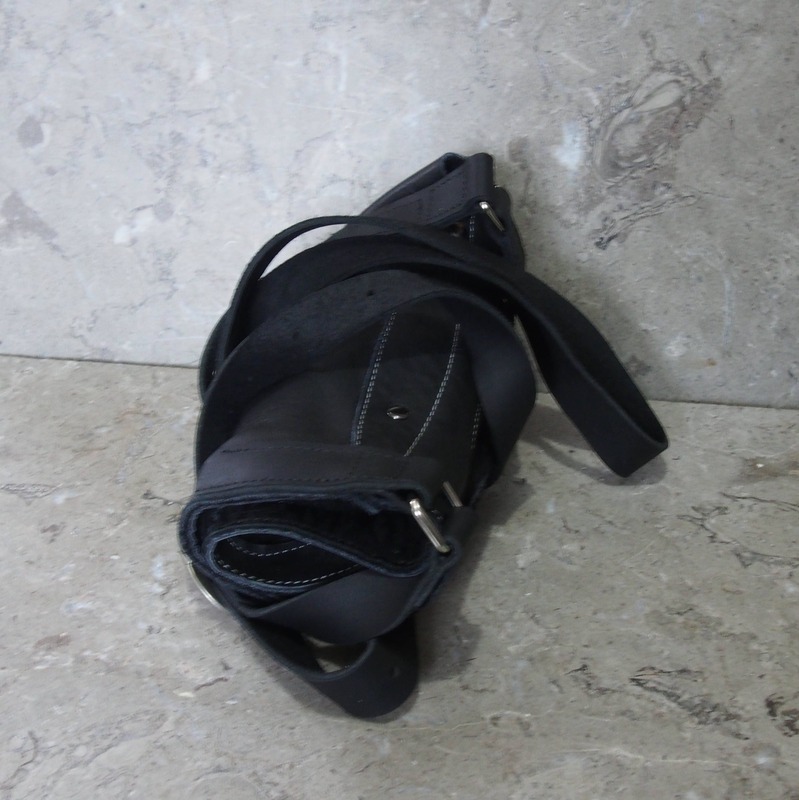 Nickel rings connect the strap to the bag body, and can also be used as a keeper for loose strap end. 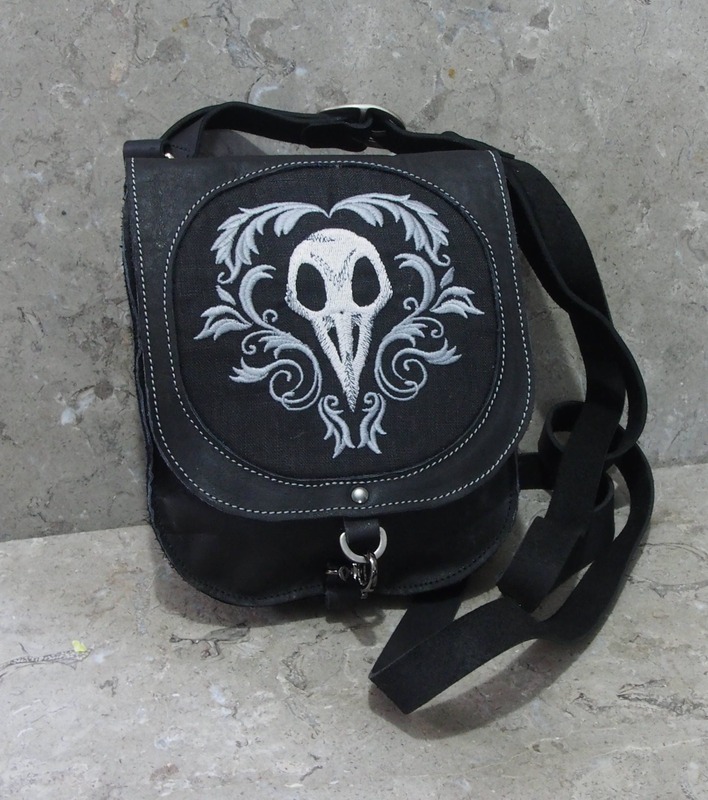 The flap has a 5x5" inset of black linen with machine embroidered design of a bird skull and garland in two shades of grey and four gun metal rivets accent the connection to the body back, all highlighted with light grey stitching. 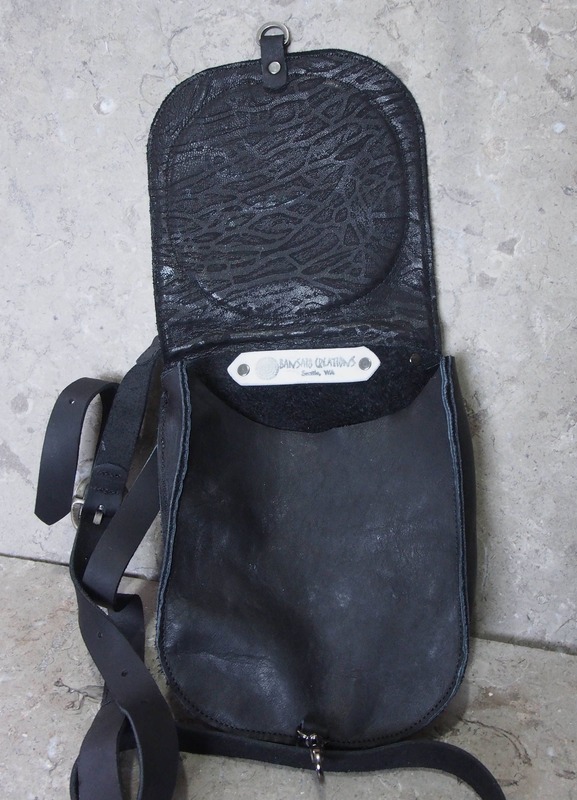 The flap is lined with a unique grain effect pattern black lambskin. 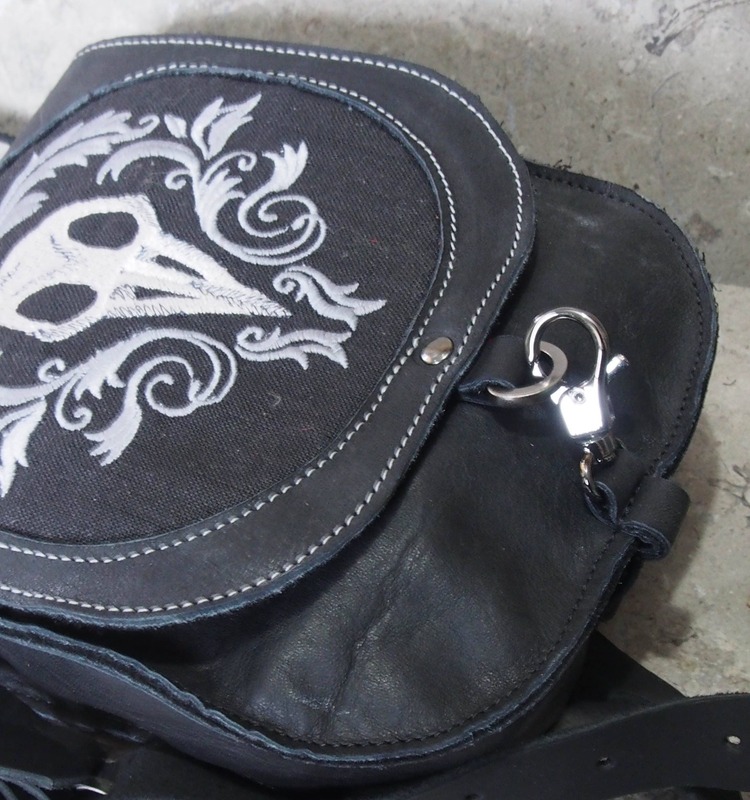 The flap can be kept closed with a gun metal swivel snap fitted to the bag bottom that hooks onto a gun metal d-ring on the bottom of the flap, held in place with another gun metal rivet. As with nearly all my work, I can make a custom version for the size or color that suits your taste!